Now how could I not click that link? Turns out it went to a Google News Search for Voyager Space Probe. It's incredible that something we made back when computers only ran DOS-like mainframe operating systems is hurtling through space. And that it is still beaming back data for scientists to evaluate and analyse. Think about that next time your smartphone craps out on your or you are faced with the BSOD on your work computer (because, let's face it, our home computers are more stable and powerful). Apparently 35 year old tech can kick this new tech's @ss. Who says newer is better? Can you imagine? Grainy Polaroids of scientists in tight pants and turtlenecks working computers with tiny displays, running DOS. The aliens won't even bother communicating with us; once they're done laughing they'll just blow the place up. 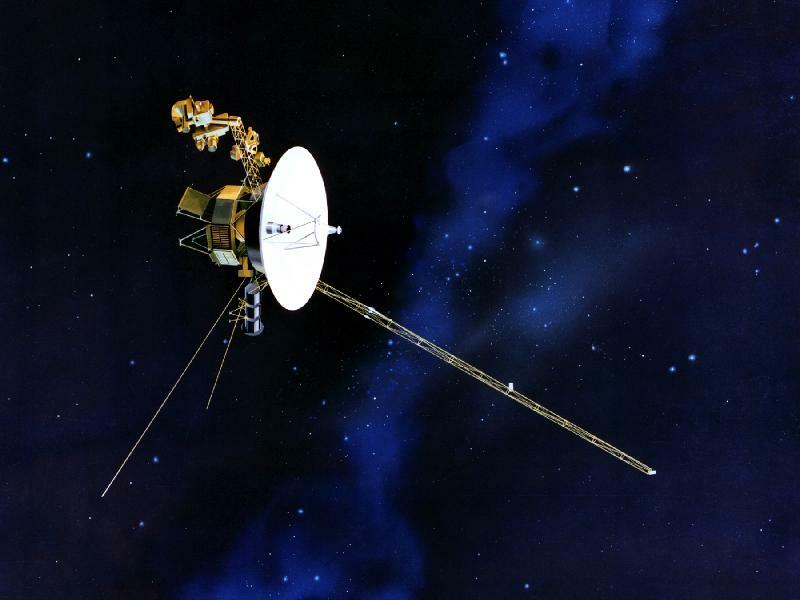 If you want to know more about the marvel that is Voyager, check out NASA's Voyager mission site.